Vintage-Style Peacock Statement Necklace Only $4.99 Shipped! You are here: Home / Great Deals / Vintage-Style Peacock Statement Necklace Only $4.99 Shipped! This statement necklace is the perfect choice to start with, as it is designed in vibrant shades of blue and green that will complement your wardrobe. What’s more, its brilliant faux peacock feather motif provides a vibrant touch to your look. 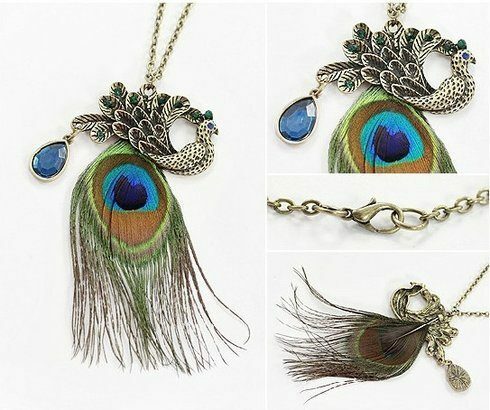 Get the Vintage-Style Peacock Statement Necklace for FREE just pay $4.99 Shipping!